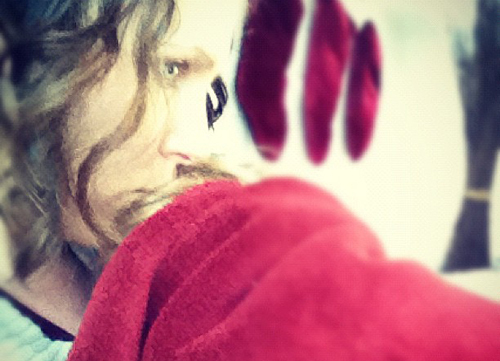 I took this picture while cuddling with my 3-year-old the other day (she’s under that red blanket, I promise! ), and it was such a reminder that she’s growing up fast…way too fast. I can say with absolute certainty that I’ve been intentional in treasuring these moments — partly because we were so sure she was our last and partly because she was so needy for so long — but it’s still gone by too fast! It’s bittersweet, really, because I really enjoy parenting my girls as they get older, but there’s just something about those sweet moments when they’re little that we know we’ll never get back that makes them extra special. Okay, enough pontificating for today…! Reminder: The Grateful Giveaways: Holiday Event ends on Monday, 12/10 at midnight, and we’ve got 15 amazing prize packages. Enter to win today!